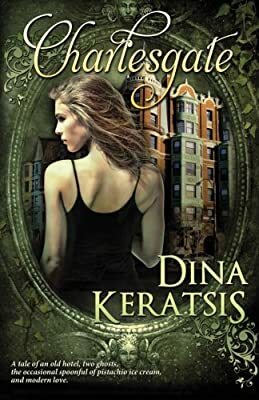 Author: Keratsis, Dina Set In . . . Description: Ever since Zylla Berry first saw the dilapidated mansion in Boston’s Back Bay, she’d become enchanted. When she walks by one day to find that someone is renovating the old beauty, she walks through its open door and meets Jabe Thayer. Determined to restore The Charlesgate to its former splendor, Jabe is thrilled to meet Zylla, who shares his passion for the building and knows its history. As they get to know each other, they find that their love for The Charlesgate is not a coincidence and as supernatural forces intensify, they begin to uncover a sinister secret that will threaten their future. From the piratical seas of the seventeenth century, to Boston’s Gilded Age to the present, Charlesgate is a haunting novel of ancestry, fate, and the unfailing power of love.